World Diabetes Day: where in Europe is the disease most rife? Portugal, Romania, Germany and Malta are the worst in the European Union for diabetes, new figures have revealed. More than one in 12 adults in the quartet are estimated to have the disease, according to data released to mark World Diabetes Day. Ireland has the lowest proportion of adults aged 20-79 suffering from diabetes in the EU, with just over one-in-25. Diabetes sees high amounts of sugar or glucose in the blood because the pancreas cannot produce the insulin required to break down the carbohydrates we eat. It also prevents the glucose from getting to the body’s cells, where it is used for energy. It’s a mixed picture across Europe, where 8.8% of adults have the disease, compared with 13% in North America and the Caribbean and 3.3% in Africa. A slim majority of the 35 countries in Europe that we looked at have seen diabetes prevalence get worse since 2010. Lithuania and Estonia have seen the biggest falls, while Iceland and Turkey have seen the largest hikes, according to data from the International Diabetes Federation (IDF). 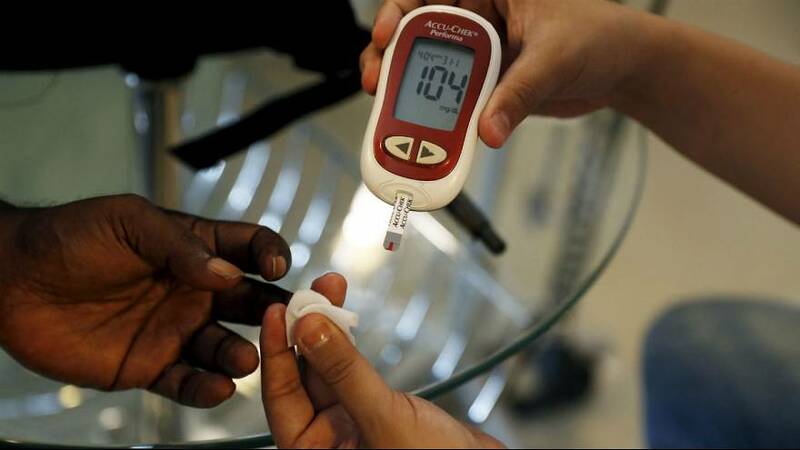 Globally the number of people living with diabetes has increased by 10 million since 2015, say IDF.